New Dr. Seuss Book Released! There’s a true tale at the end of the book — about how this lost Dr. Seuss manuscript was finally recovered (including the illustrations). 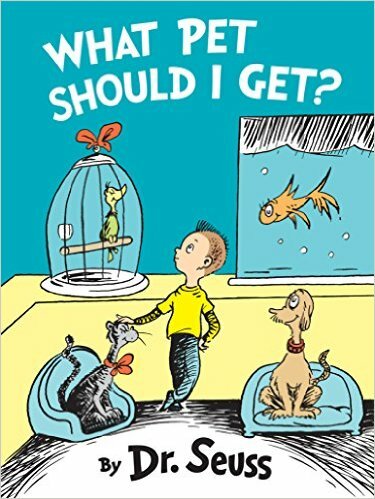 And it also discusses which pets were adopted by Dr. Seuss himself! There’s even a description of his creative process — which should be inspiring to future children’s book authors. But most of all, the book just looks like it’s a lot of fun. She’s the web cartoonist who draws “Hark, a Vagrant”, but last week she released her first picture book for children! The Princess and the Pony is both written and illustrated by Kate Beaton. (“We are all very excited!” the author wrote on her web site.) And the book’s wide, colorful pages give her a great new outlet for her simple yet imaginative drawing style. The title page introduces us to Princess Pinecone, a smiling girl lying under a pea-green sky where the clouds form into white horses. The petals of her dandelion blow in the wind, and on the far side of a two-page spread are the fluttering flags of her castle. She comes from a kingdom of warriors, according to the book’s first page, although she is the smallest warrior. On the first page the princess is wearing a viking-style helmet with horns…though it’s too big for her head! This book’s drawing some rave reviews. 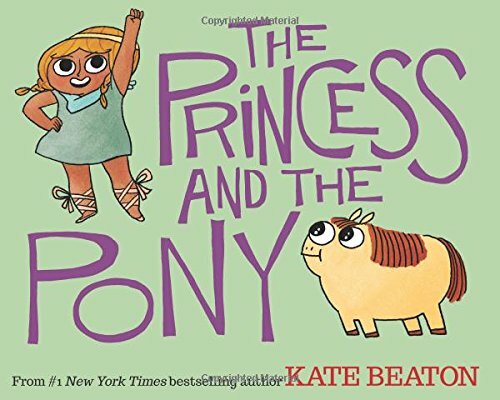 (The School Library Journal called it “A highly recommended, charmingly illustrated tale of teamwork and tenderness.”) The book ends as the princess leads her pony into a comical and very unthreatening battle. There’s a warm message in the final pages about the unexpected, working together, and how life can surprise us with how valuable we really are. But the real fun of this book is watching the story-telling veer around in its own wacky world.